“We understand the customer’s need for quick aircraft turnaround, affordability and reliability. This new paint booth facility allows us to meet the rapidly increasing demand to support both industry diversification and our participation in programs, such as the F-35,” states Terry Miles, General Manager Operations, RUAG Australia. “Specifically designed to solidify our strong position within the industry for aircraft surface finishing, the accredited Wingfield Special Processing Centre is also a second source service-provider, providing the Australian defence and aerospace industry with the necessary alternative supply chain solution for surface finishing,” adds Terry Miles. 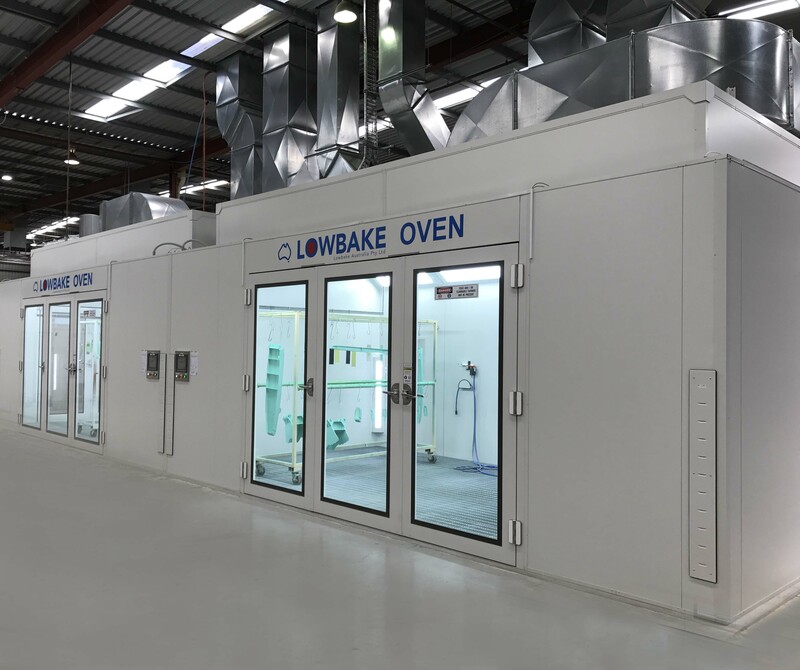 The fully automated paint booth facility meets high aerospace and defence standards and accommodates a broad range of components and component sizes. It also ensures prompt processing times, especially as it allows the finishing process to operate in all ambient weather conditions. Features of the paint and curing complex include a minimal contamination design, 10 micron minimum inlet filtration, full downdraught configuration and 1200 lux light, a minimum part surface requirement. “The needs and demands of the aerospace industry are evolving as technology becomes more advanced and we have a strong drive to keep pace with these advancements. The creation of the new paint booth facility is proof of how we responded to our customers’ needs with services that support their requirements more effectively, reliably and in a sustainable manner,” confirms Stephan Jezler, Senior Vice President Aviation International, RUAG MRO International. In addition, as the manufacturer (OEM) of the Dornier 228, a versatile aircraft for special missions as well as passenger and cargo operations, RUAG focuses on customer support, including OEM services. Moreover, RUAG MRO International develops simulation and training systems technology for live, virtual and constructive (LVC) training. Flexible functions and a broad variety of additional equipment support realistic training scenarios, adapted to mission goals, for both individual and unit instruction.